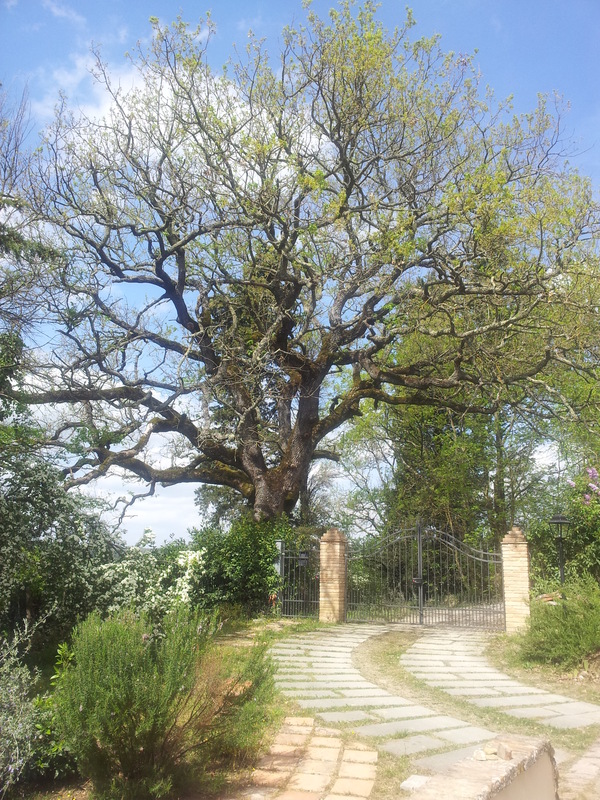 The big ancient Oak Tree guarding our gate. Wild life fresco on the sitting room wall. Our lovely new home is called ‘Querceto’ and this is hardly surprising because it means Oak Tree. Not only is the gate guarded by a massive oak tree, but the house itself is full of old oak beams. 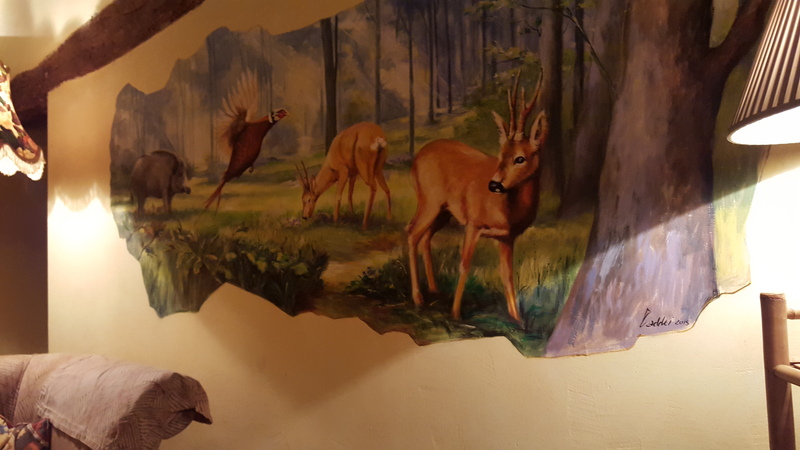 Our landlord is also a bit of an artist and as soon as you walk into the sitting room you find the most beautiful fresco of the local wildlife including a Cinghiale (wild boar), deer and pheasant. 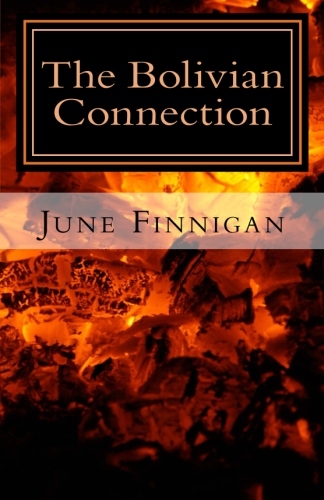 Turn around and there is a massive inglenook fireplace with Oak leaves and the house name painted over it. 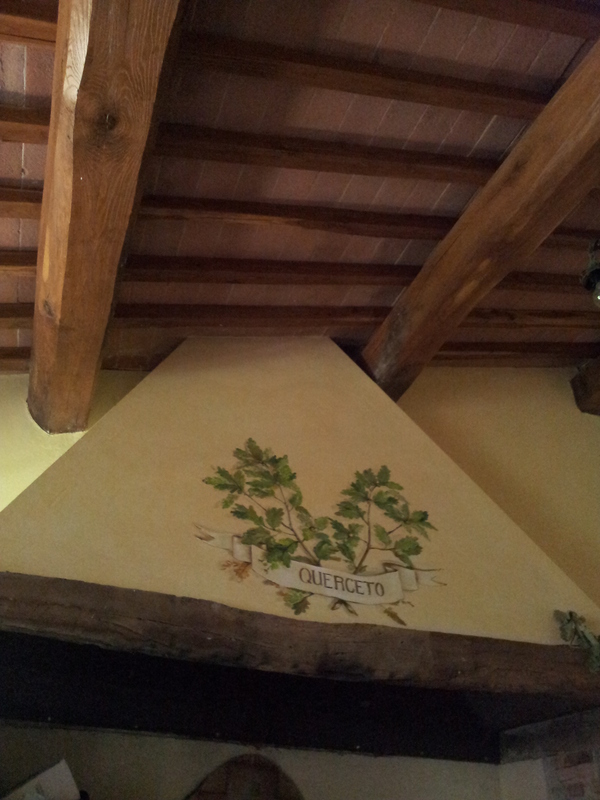 The house name and oak leaves above the Inglenook. The house itself is very quirky and is divided into two apartments, so we have lots of room for friends and family to come and stay. We took both the apartments because we want to have the place entirely to ourselves, including the gorgeous wooded garden. I know, very indulgent indeed, but we love it. It is built on the side of a hill and opens up inside like the Tardis! The house from the lower terrace. 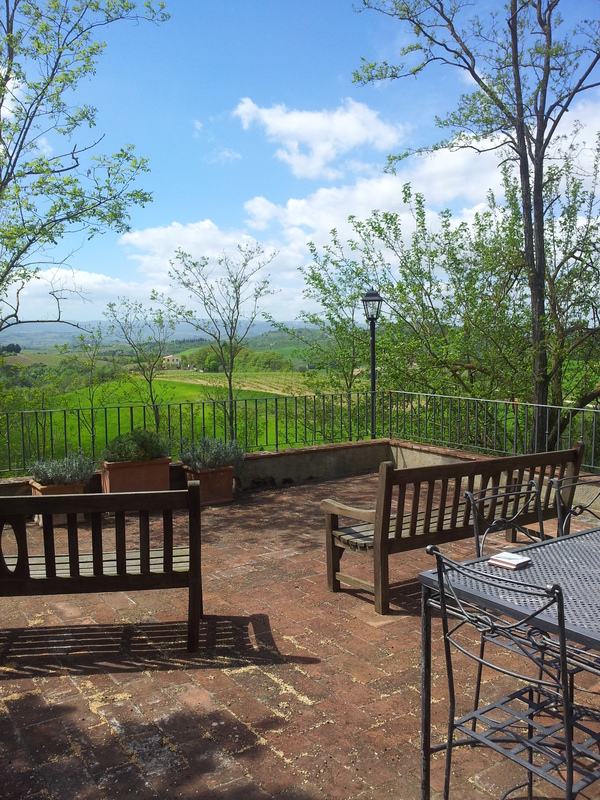 The place is also perfect for our annual rock concert garden parties and if you are in Tuscany on 25th June and would like an invite send and email to june.finnigan@virgin.net. Now with the move out-of-the-way, we are waiting for Farty Barty the cat to settle in. After three days he went off for four days and I found him back at the old villa! It’s only a twenty-minute walk from here and he knows his way around pretty well. He has been back here for two days and nights, then went out this morning into the countryside. We wait with bated breath! The excitement of the week was the arrival of the plumber to put our new gas cooker in. He was very jolly and set the cooker in position, then announced that he would be back on Tuesday to link it to the gas supply! So we are forced to go to the restaurant to eat! There is a limit to how many tasteless microwaved jacket potatoes one can eat! Tomorrow we are whizzing over to IKEA to get freestanding sideboards as we are not too keen on fitted kitchens. So hopefully by next weekend we will have a working kitchen. Mind you, it’s a good excuse for eating out, well you know what I’m like! The lower terrace and view. Nevertheless life is blissful, despite all the boxes and dust. 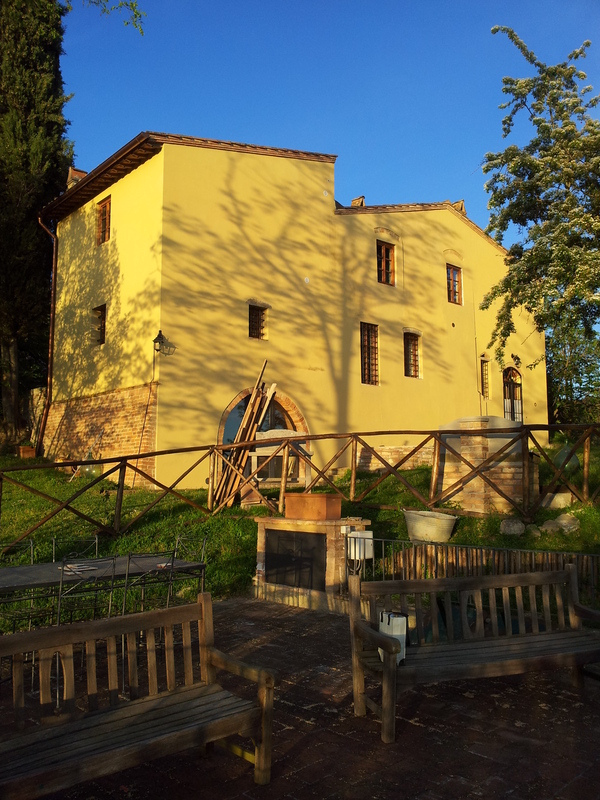 Down on the lower terrace we are able to enjoy our evening aperitivi and watch the sunsets, which we could not see at the old place. We have heard the first cuckoo and saw a hoopie in the garden today. We even have a pond with croaking toads and the weather has been glorious. Have a great week and I’ll bring you up to date with the local news next weekend. Yes it is, you must try and get here for the concert in June, or another time if you can drag yourself away fron the green hills of Ireland!